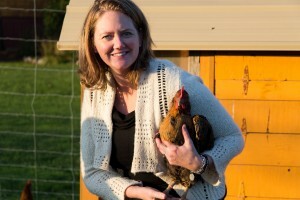 Cheers Cowichan Tours was founded in spring of 2014 by Susan Quackenbush. The idea for Cowichan’s own tour company was born from a perceived need for easier movement to and between the many popular attractions here on Vancouver Island. 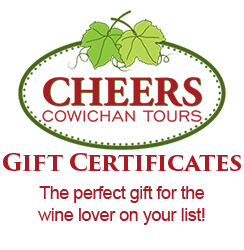 Cheers offers tours daily, all year! CHEERS COWICHAN ~ WHO ARE WE? We are your authoritative guide to all Cowichan region destinations and many others here on Vancouver Island. 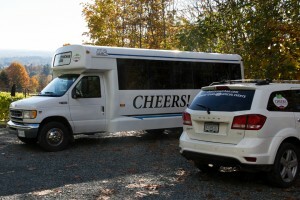 Cheers Cowichan is the ONLY tour company located in Cowichan and run by local experts. We know our wine country, craft breweries and hops farms, our festivals, our most fascinating destinations, our best restaurants, and some elusive ‘off the beaten path’ treasured spots. There’s no tour company better qualified to help you explore this beautiful region and its diversity. We’ve gathered a wealth of talent to operate our vehicles and to host our guests. Our guides share the same passion for the industry as the destinations we visit. Several sommeliers are available if you wish to host or schedule a food/wine pairing event. I’ve been in the tourism industry since 19 years of age. I love the outdoors, good food, wine and people. I LOVE the Cowichan Valley. I love having found Cheers Cowichan Tours and it’s team and I’m thrilled to show off what our beautiful valley has to offer. Professional driver of almost anything with wheels! 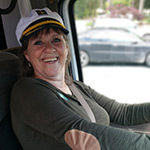 When not delighting our guests with her easy charm and quick humor, Carol enjoys riding her Harley and metal detecting beaches and meadows on Vancouver Island. Our 20 and 18 passenger busses picks up at scheduled stops: Hotels, B&B’s, Island marinas, Villa Eyrie Resort on the Malahat, Hilary’s Cheese in Cowichan Bay, Old Firehouse Wine Bar in downtown Duncan, Chemainus Best Western, the Cowichan Regional Visitor Center. Also locations in Victoria, Langford and Nanaimo. Call ahead to schedule pickup and travel arrangements. Custom tours and transport for special events are available. Driver and bus can be rented on an hourly or daily rate. (ranging from $99-$150/hour with a 3 hour minimum. Stagettes, wedding transport,and birthday parties welcome. In addition to the 20 and 18 passenger busses, an 11 passenger Mercedes Sprinter van and a private car are also available. Larger groups above 18 easily accommodated with several days notice. Come explore Cowichan with us – Let Us Do The Driving!